Houston once again paired with Missy Elliott on this autobiographical jam which tells the story constantly scrutinizing and judging her and her man. This Stevie Wonder cover and Lauryn Hill produced jam was added as a bonus cut. This remarkable and brilliant remake closes the My Love Is Your Love album perfectly. One of Diane Warren’s typical ballads, however; Houston carried the lyric pleasantly well. From the opening of this song it puts you in the mind of “vintage” Houston i.e. “I Have Nothing” / “Why Does It Hurt So Bad”. Produced by Babyface and Daryl Simmons. This piano driven urban dance track finds Houston’s desire to evolve something more into a friendship. 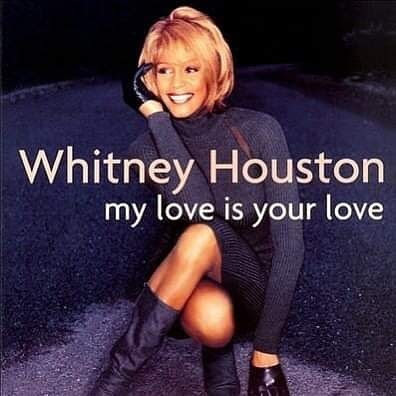 Subsequently, this Rodney Jerkins produced song was later released as a duet with George Michael for Houston’s Whitney: The Greatest Hits where it peaked in the top 10 in the UK. An edgy jam produced by Rodney Jerkins which finds Houston refreshing and carefree vocally. Another standout gem. Written by Diane Warren and produced by Babyface and Rodney Jerkins. The longest song on the album which also happens to be one of the standout non-singles which should have been a single. Produced by Missy Elliott and showcases Houston in rare form with her sultry, seductive and sexual side. Written and produced by hit-making team Diane Warren and David Foster, this remarkable ballad was released as the fifth and final single. Houston collaborated with Mariah Carey for this Grammy-nominated song originally for The Prince of Egypt Original Motion Picture Soundtrack. Subsequently it was released as the lead single and would go on to win Best Song at the 1999 Academy Awards. This Platinum-selling single was produced by Wyclef Jean and showcased a different side for Houston sonically fusing Reggae, R&B and Hip Hop Soul which sets the tone for the album. Peaking at No. 4 on the Billboard Hot 100’s and No. 2 on the R&B chart making it another one of Houston’s top 20 biggest hits. Houston teamed up with fellow powerhouse vocalists Faith Evans and Kelly Price for this Platinum-selling and Grammy-nominated song which was released as the second single. Another one of Houston’s top 20 biggest hits. Peaking at No. 2 on the Billboard Hot 100’s and No. 1 on the R&B chart. Released as the overall third single and produced by Rodney Jerkins, this Grammy Award-winning song peaked at No. 4 on the Billboard Hot 100’s and No. 1 on the R&B chart becoming one of Houston’s top 20 biggest singles of her illustrious career.